The Uk Government has announced the review of the learning to drive process. they are considering changing the age you are able to drive at and also imposing restrictions on what you can do once you have passed your test. These range from, limits on carrying passengers and limits on driving at night. There are also discussions about bringing in a minimum amount of hours of learning undertaken before sitting your test. 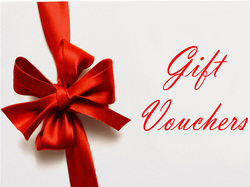 This year you can buy a driving lessons Christmas voucher without worrying about budget. From 1 hour to 40 hours I have vouchers to suit all gift sizes from a stocking filler all the way through to the "main present".